Haygoods New Album… Download for Free! Are you ready to hear The Haygoods like you’ve never heard them before? Are you ready for all original music written, recorded and close to the heart of this family of Branson musicians? 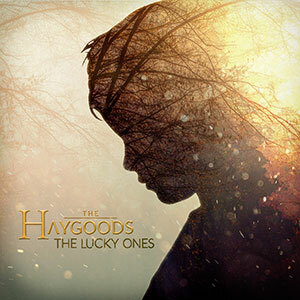 Then buckle up and catch the Haygoods BRAND NEW album, The Lucky Ones! This album and corresponding videos have been years in the making and have made the last few months quite the adventure for these siblings! From low flying planes, powered parachutes, cliff diving into Table Rock Lake (fully clothed!, riding Big Foot too many times in a row, to driving across Table Rock Dam with the top down, it’s been a fun adventure, and they did it all for YOU! These are their songs, their story, their adventures all wrapped up into 10, never heard before songs. You won’t fit these songs into any one specific genre … because there’s nothing out there like ‘em! Click on the link above to check it out! Wow! Thank you so much to everyone who nominated us for Best of 417 Magazine’s Best Branson Stage Show & Best Date Night! We are one of the finalists! Also, one of our entertainers, Nathan Applegate, has been nominated for Best Local Instagram to Follow. You have until October 13 to cast your final vote! Thank you!!! According to Branson’s Hometown Daily News, Yakov Smirnoff has announced that he will return to his theater in Branson in 2018! His new show Make America Laugh Again will debut in Branson next year on October 13 and will run until November 24. Smirnoff says the premise of his new show came from traveling the globe teaching courses on happiness and laughter. According to a release from his theater, he will perform Tuesdays through Sundays. Welcome back to Branson, Yakov! Sign up for our fan club!